For those who know me, for those who are already members of my practice, you might be shocked that I am devoting an article about such a topic. Well, there are still things for you to learn. For those of you who are not yet members of my practice, you very much need this information. Much more is at stake than you now imagine. Contrary to popular belief (as well as the impression given by lesser chiropractors), Chiropractic IS NOT ABOUT BACK PAIN. However, anyone with back pain (along with everyone else) should be under chiropractic care. And, yes, most do lose their back pain here. 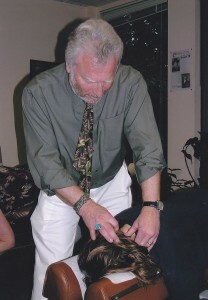 The point of Chiropractic IS NOT to treat the pain; the point is to remove the cause. When you treat the pain, you are merely covering up the real problem. Better to remove the real problem… Vertebral Subluxation Complex (VSC). This is what Chiropractic does. Meanwhile, while you are living on your anti-inflammatories, you are placing your kidneys, your liver, your heart and your stomach at risk. And, your already damaged joints will be more damaged from these drugs. This is not the way. Find the cause. Get adjusted. I will say this right out. Spinal surgery, except in the case of (some) spinal fractures and spinal tumors, is nuts. If you have already had spinal surgery, or have a loved one who has, please do not take offense. None is meant. You didn’t know. Once you know, to proceed down this path is, indeed, nuts. 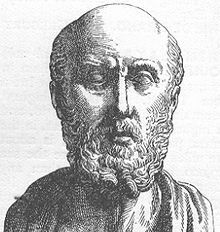 Hippocrates wrote to doctors, “Primum nocerum.” “First, do no harm.” Well there is a reason why spinal surgeons pay in the hundreds of thousands of dollars in malpractice premiums, and chiropractors pay, like $1500. Those guys with the masks are dangerous! Almost everyone gets worse. Most end up with more and more surgery. Then there are the “adverse events”: anesthesia reactions, other drug reactions, further neurological injuries and nocosomial (hospital-borne) infections, including osteomyelitis, infection of the bone… nasty stuff. My own father had spinal surgery, long before I ever heard the word “Chiropractic.” That procedure changed intermittent, moderate back pain to constant, severe back pain until the day he died. In almost 27 years of practice, I have “lost” only one practice member (“patient”) to spinal surgery. He was 76, in excellent shape… played several sets of tennis a week. His doctor sent him to the orthopedist, who advised him that he had a disk problem that required surgery. He was scheduled in three months. Then, he came to me. I explained that there was no such thing as a “slipped disk.” I explained that the thing was Vertebral Subluxation Complex, which can not only be a source of pain, but it also interferes with the functioning of his entire body on every level. He began care. He did great, both subjectively (how he felt) and objectively (by my testing). Then, because “The Doctor said.” He went in for the surgery. I saw him about a year later, on Fourth Street in San Rafael. This formerly vital, fit man was a shadow of his former self… bent over, shuffling walk, obviously in excruciating pain. Another medical victory, huh? For those, and those you know, who are considering spinal surgery, I do know the medical game that they have stuck in your head. “We have to run these tests.” “One more test.” “We are going to refer you to another specialist… a top man/woman.” You are thinking “Well, I have to first find out what it is.” They will give you answers, but answers that are useless to you getting well. All this looks like science, but, in the end, it is marketing for surgery. New things, like the artificial disk? What insanity! “We are going to first try some physical therapy and/or steroid injections.” Useless at best, dangerous at worst. Stop wasting time while you’re getting worse. Unless you are in an immediately life-threatening situation, don’t even consider spinal surgery. If you are alive, apparently sick or well, in pain or not, get a chiropractic check-up if you are not under chiropractic care. If you are under care, stay for lifetime wellness.